4th December 2017 – After the investment by Proparco and Investisseurs et Partenaires in August 2016, Enko Education has entered into a new phase of growth, raising 1.5 million euros with Oikocredit, a cooperative and social investment company based in the Netherlands. Since 2014, Enko Education has been instrumental in revolutionising access for African students to a top-quality international education and the best universities in the world. Enko Education has nine schools in five Sub-Saharan African countries, offering a launchpad to the best universities in the world for young African people, and providing prestigious international programmes and a unique university admission counselling programme. The Africa-wide group, with a presence in Senegal, Ivory Coast, Cameroon, Mozambique and South Africa, has just announced its first debt raising for 1.5 million euros with Oikocredit. “This loan will fuel the growth of Enko Education, particularly by financing the acquisition of existing establishments and the opening of new ones”, said Eric Pignot, Founder and CEO of Enko Education. 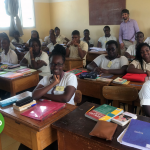 “We launched our first school in Senegal in September of this year, and are now looking to continue our development in the countries where we already have a presence, as well as in all the countries in the region where there is a need for more accessible international schools”, added Mr Pignot. The Enko Education model is already generating brilliant results; students from the first graduating class are all now studying in universities as prestigious as Yale College in the United States, Sciences Po in France, the University of Toronto in Canada, the African Leadership University in Rwanda, or the Capital University of Economics and Business in China. “Oikocredit is glad to start an exciting and fruitful partnership with Enko Education. 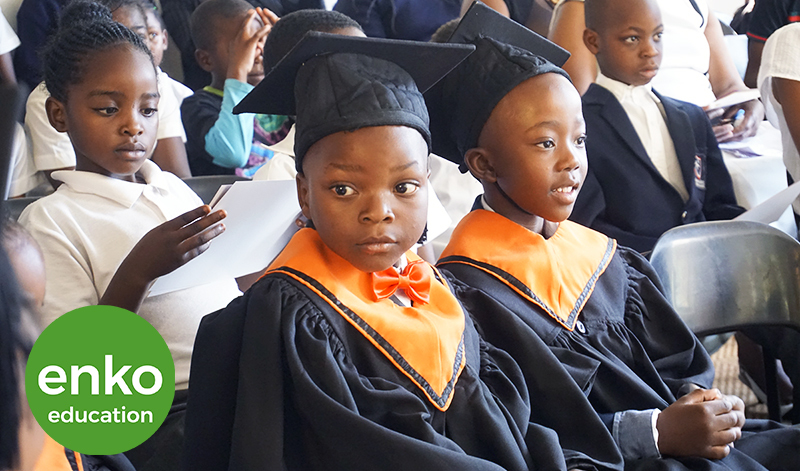 We recognise the added value of Enko’s business and we align with the mission to widen the opportunities for high-quality education to the African population”, said Lygia Cesar, investment manager at Oikocredit. Enko Education is an Africa-wide fast-growing network of international secondary schools, preparing learners across Africa for admission to the world’s best universities. Enko Education developed an innovative education model relying on an internationally-recognized curriculum, the International Baccalaureate Diploma Programme (IBDP). By adopting an asset-light strategy and relying on extensively trained local teachers, Enko Education is able to charge schools fees which are, on average, only a quarter of those charged by other IBDP schools in Africa. 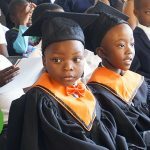 The group opened its first school in September 2013 and now comprises 9 schools, located in Cameroon, Ivory Coast, Senegal, Mozambique and South Africa, and shares the ambition to launch further 30 schools in the next five years. Enko Education is financially supported by international development institutions and private equity funds including Proparco, I&P and now Oikocredit. Oikocredit has over 40 years’ experience in funding partner organisations active in inclusive finance (including microfinance), agriculture and renewable energy. Oikocredit’s loans, investments and capacity building aim to enable people living on low incomes to sustainably improve their living standards. Oikocredit finances around 800 partners in 70 countries, with total outstanding capital of €1,047.2 million.